If I had disabling chronic pain before the crash, will the court look at that in assessing damages? What if I’d been doing really well just before the crash, and I think I would have kept doing well if I hadn’t been hit? In a recent judgment of the British Columbia Supreme Court, Justice Bernard considered the injuries of a plaintiff who – prior to the subject collision – suffered from long-term and disabling chronic pain and depression (Vintila v Kirkwood, 2016 BCSC 930). The plaintiff had an extensive pre-crash medical history, including a designation of severe disability rendering her unable to work. Despite this, just prior to the subject collision, the plaintiff had been doing quite well. She’d taken up a ‘health juice’ promoted by a friend and had lost 60 pounds over 18 months. She’d weaned herself off narcotic pain-killers, resumed light household duties, and found some enjoyment in life. 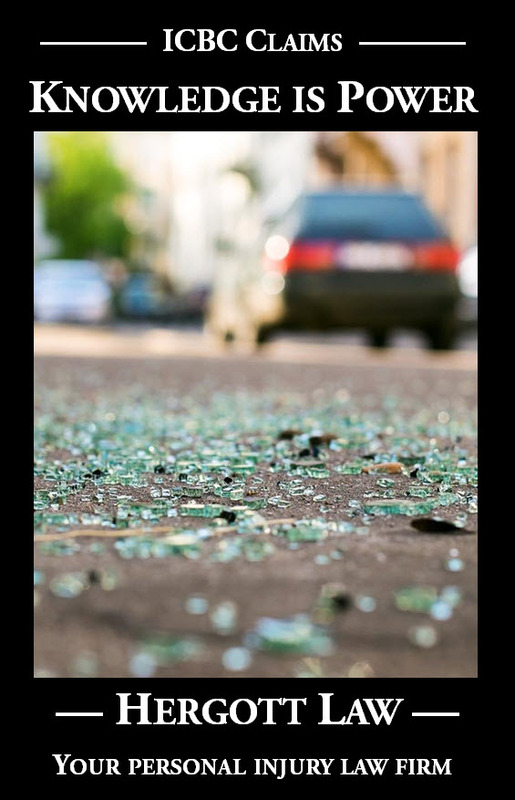 In the subject collision, the plaintiff was the seat-belted passenger in a vehicle that was rear-ended in a ‘quite minor’ manner. Immediately afterwards, she began experiencing pain in her neck, shoulders, and back. She told the court her life soon returned to one of debilitating pain and depression. The plaintiff argued that she was very vulnerable as a result of her pre-existing but essentially asymptomatic condition. This would make her a ‘thin skull’ plaintiff – someone who must be compensated for the full extent of their injuries despite how unexpectedly severe they are. The defendants countered that the plaintiff was actually a ‘crumbling skull’ – that is, someone whose pre-existing disabling condition was inherent in her original position. In other words, the defendants argued that the plaintiff would have – collision or no – inevitably declined to her present state, and that they should only be responsible for losses arising from the temporary aggravation of the plaintiff’s pre-existing severe, chronic, and disabling condition. In light of the foregoing, I find that Ms. Vintila is a crumbling skull plaintiff. The evidence that Ms. Vintila’s pre-existing conditions were manifest and disabling at the time of the accident is convincing; moreover, the evidence is clear that her conditions were severe, chronic, long-term, and disabling from work. A relatively short pre-accident period of improvement in her pain symptoms is, in all the circumstances, insufficient to categorize Ms. Vintila as a “thin-skulled” plaintiff. As for whether Ms. Vintila’s post-accident complaints of finger numbness and leg pain were new injuries attributable to the accident, I accept Dr. Masri’s evidence that Ms. Vintila’s cubital tunnel syndrome (causing her finger numbness) was a pre-existing condition and not related to the accident. He explained that it is a condition of spontaneous onset and “has nothing to do with an injury.” Dr. Masri also opined that Ms. Vintila’s right leg pain (her “worst” pain) was of very recent onset and, therefore, unrelated to the accident. He explained that Ms. Vintila’s pre-existing spinal stenosis and degenerating lumbar spine were the cause of her right leg pain. He noted that these conditions were also the cause of Ms. Vintila’s left leg pain, and that the left leg pain was not a new complaint; rather, it was a pre-existing one that, in his view, was slightly and temporarily aggravated by the accident. The evidence of Dr. Masri, in regard to the foregoing, is persuasive. His opinions are well-explained and consistent with: (a) the extensive evidence of Ms. Vintila’s severely debilitating and unresolved pre-accident conditions; (b) the nature of the underlying medical conditions; (c) the timing of the onset of the new symptoms; and, (d) the circumstances of the accident. In relation to Ms. Vintila’s digital numbness, it is notable that Dr. Masri expressly disagreed with Dr. Bohorquez’s unexplained opinion that it was “more likely than not that the motor vehicle accident led to an ulnar nerve injury that caused Ms. Vintila’s complaints of numbness to the left fourth and fifth digits.” Dr. Masri observed that Ms. Vintila had suffered from numbness before the accident; moreover, he commented that there was no explanation of a mechanism by which an injury to Ms. Vintila’s right upper extremity would have occurred in the accident.